I read this article and found it very interesting, thought it might be something for you. 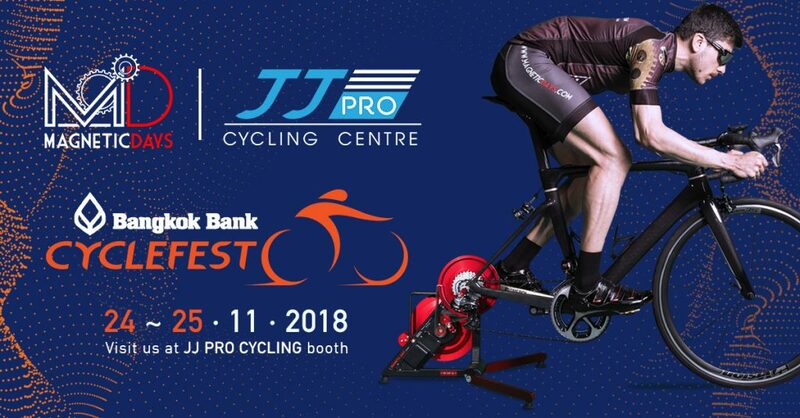 The article is called Enjoy with MagneticDays at Bangkok Bank CycleFest 2018 and is located at https://www.magneticdays.com/en/news-en/bangkok-bank-cyclefest/. Bangkok Bank CycleFest set out to be a cycling and lifestyle event that celebrates the joy of mobility on two wheels in Pattaya, Thailand. Held over two days, a variety of rides and races are available, distances ranging from 30 km to 60 km. The variety included individual timed rides, a 90-minute fun ride and a team time trial. The course is 15.5km over scenic, closed and good quality roads around the amazing Golf Club Siam Country Club offering a unique riding experience for cyclists of all ages and experience levels. Over both days, there will be a festival village which includes lots of family entertainment.